Millions of adults have lost one or more teeth to gum disease, accidental injury or extensive decay. If missing teeth are putting a damper on your self-confidence, today’s dental implants could give you artificial tooth replacements that look, feel and function just like natural teeth. Here’s a quick overview to help you understand the implant procedure. Dental implants replace natural tooth roots after teeth have been extracted or lost. Your dentist can perform two types of dental implants. Endosteal dental implant surgery, which is the most common dental implants procedure, involves surgical insertion of small titanium screws directly into your jawbone at the site of the lost tooth. The implant serves as an anchor to hold a natural-looking artificial tooth. A subperiosteal implant is placed under the gum tissue but isn’t implanted directly into the bone. Subperiosteal dental implants are usually reserved for patients who cannot undergo a bone graft and don’t have enough healthy jawbone for an endosteal implant. The total cost of your dental implants depends on various factors such as the type of post and crown material chosen, the implant type and preparatory surgeries such as extractions or bone grafts. Other variables that affect dental implants cost include location, anesthesia choices and dental implants insurance coverage. Although dental implants cost more than other types of restorations, they also offer significant advantages such as superior aesthetics, reliable stability and a proven long-term success rate. In fact, no other procedure can deliver more stable and attractive results. To learn more about getting affordable dental implants, contact our office to schedule a consultation with one of our skilled dental implants specialists. What About Dental Implants Insurance? Am I Covered? Although some policies may help pay for the crown portion of your dental implants procedure, most insurance companies consider dental implants elective or cosmetic. In some cases, you may be able to purchase a separate dental implant insurance option. Fortunately, we can make the cost of dental implants with insurance or without it more manageable with convenient, flexible financing options. Call our office to learn more about payment plans for dental implants in Abington. You may have more dental insurance implants options than you realize. 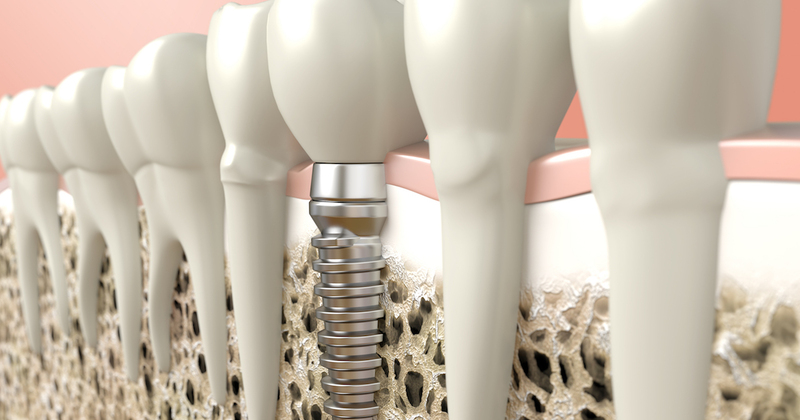 Your dental implants procedure occurs in several stages, and there is often extended healing time between them. The first dental implant procedure steps are extracting any diseased teeth if still present and preparing the jawbone for your dental implants. Next, the implants will be placed into your jawbone while you are under anesthesia. The new dental implants are left to fuse with your natural jawbone; this process is called osseointegration, and it may take several months. Once an implant has become stable, a prosthetic component called an abutment is attached to it; this part will hold the crown, which is placed last. With the use of anesthesia and over-the-counter pain medications, there is usually little dental implant procedure pain or discomfort. Implant patients ultimately find that dental implants benefits are well worth the time and cost involved in having the dental implants procedure. Consider the following examples. Dental implants look, feel and function just like your natural teeth. They eliminate embarrassing gaps and restore your beautiful smile. Compared to dentures, taking care of implants is simple. You’ll enjoy improved speech and chewing ability. Your adjacent teeth won’t shift. Implants help stabilize your jaw. 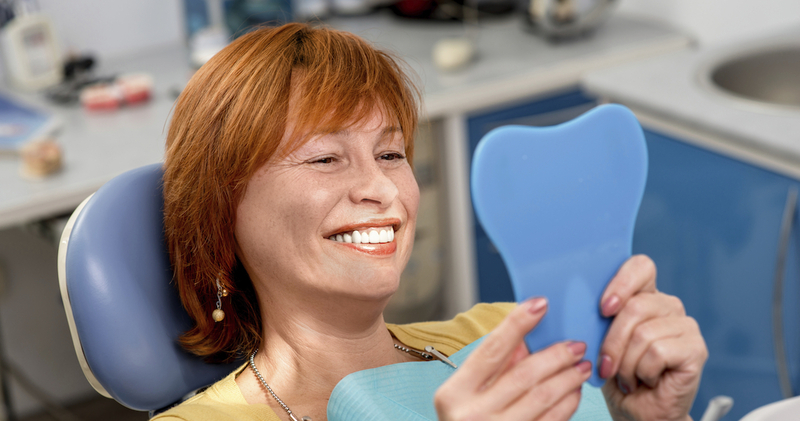 Caring for dental implants is as simple as taking care of your natural teeth. If you experience soreness or minor pain, use over-the-counter pain medicines for relief. Once the implant site has completely healed, you should brush, floss and rinse with antibacterial mouthwash as your dentist recommends to remove food debris and plaque. Make and keep routine dental appointments, and schedule professional cleanings to eliminate calcified deposits around your dental implants. If you have missing teeth and a healthy jaw, getting dental implants in Abington could be a great option. The only way to be certain is to have a professional evaluation. Our highly skilled dentists can easily determine who needs dental implants and who would make a great dental implant candidate. Schedule a consultation to determine your eligibility. Your overall dental and general health, your oral hygiene practices and the location of implants in your mouth help to determine how long dental implants last. With regular dental visits and good oral hygiene, your affordable dental implants could last for decades or even a lifetime. Contact us today to learn more about getting your smile back with realistic, attractive dental implants.